Following a four-day meeting at UNESCO Headquarters, Paris, from 24-27 October, the International Advisory Committee (IAC) of UNESCO's Memory of the World (MoW) Programme recommended to inscribe 78 new nominations for the Memory of the World International Register. In addition, the IAC proposed three additions to existing inscriptions and recommended provisional inscription for two items pending confirmation of minor points. Under the Chairmanship of Dr. Abdulla Alraisi, Director-General of the National Archives of the United Arab Emirates, and composed of 14 eminent experts, the IAC examined and evaluated new items of documentary heritage proposed by countries from across the world, following a two-year process as part of the 2016-2017 nomination cycle. In conformity with the Statutes of the International Advisory Committee, the Committee has decided on this new cycle of inscriptions to the Memory of the World Register and has informed the Director-General of the result of its deliberations. While endorsing the recommendations, the Director-General of UNESCO, Irina Bokova, stated, "It is my deep and firm conviction that the Memory of the World Programme‎ should be guided in its work to preserve documentary heritage and memory for the benefit of present and future generations in the spirit of dialogue, international cooperation and mutual understanding, building peace in the minds of women and men." Member States also requested the Director-General to engage, in cooperation with Member States, and building on the work produced by the International Advisory Committee (IAC) Working Groups, in a comprehensive review of the programme, and present an action plan for this review to the 204th session of the Executive Board (Spring 2018). In addition, Member States called upon the Director-General, the members of the IAC, and all stakeholders of the MoW Programme to abide by the principles of dialogue, mutual understanding and respect and to avoid further political tensions concerning the MoW Programme. 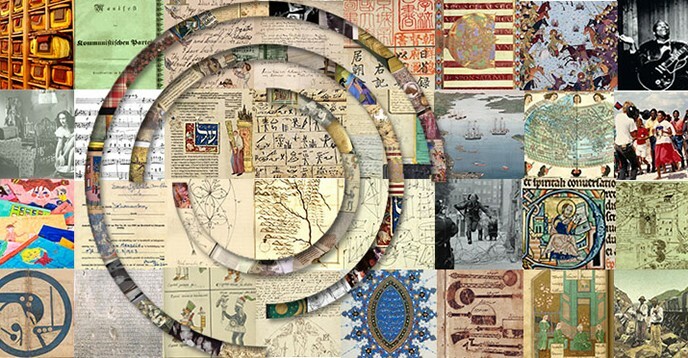 The Memory of the World Register now includes a total of 427 documents and collections, coming from all continents and safeguarded on various materials from stone to celluloid and from parchment to sound recordings.